The meeting is taking place at the University of Bonn. Meeting rooms have been reserved at the 'University Club' in the centre of Bonn. Because of its location in the centre of Bonn parking space is limited, we recommend to get to the University Club by using public transport. take tram lines 16, 63 (direction Bad Godesberg) or tram line 66 (direction Bad Honnef) and get off at the next station "Universität/Markt" exit Markt. leave the station and turn right walking along the yellow university buildings of the Rheinische Friedrich-Wilhelms-Universität Bonn to your left. After 100 m turn left and pass under the Koblenzer Tor gateway. Then cross the road and turn right entering the Konviktstraße alongside the University building. 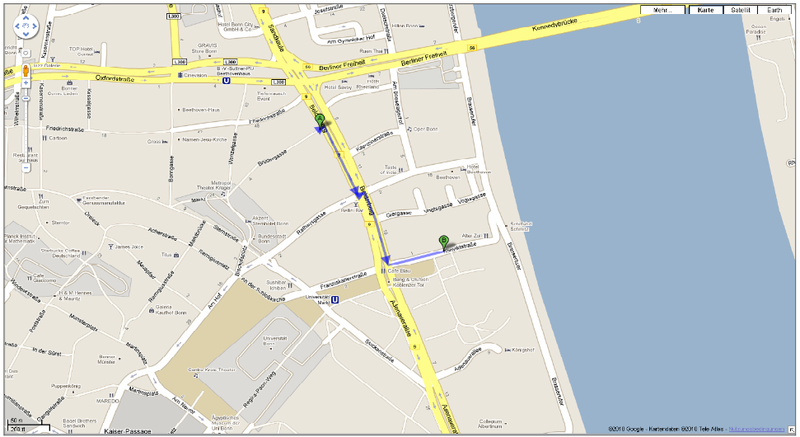 After 50 m you will find the University Club on the left hand side. take the airport bus SB 60 to Bonn. get off at station Bonn – Brüdergasse/Bertha v. Suttner Platz, cross the street, turn right and walk up the street (Belderberg) towards the yellow university building, which overstretches the main road. Before passing the Koblenzer Tor gateway please turn left into the small Konviktstrasse. 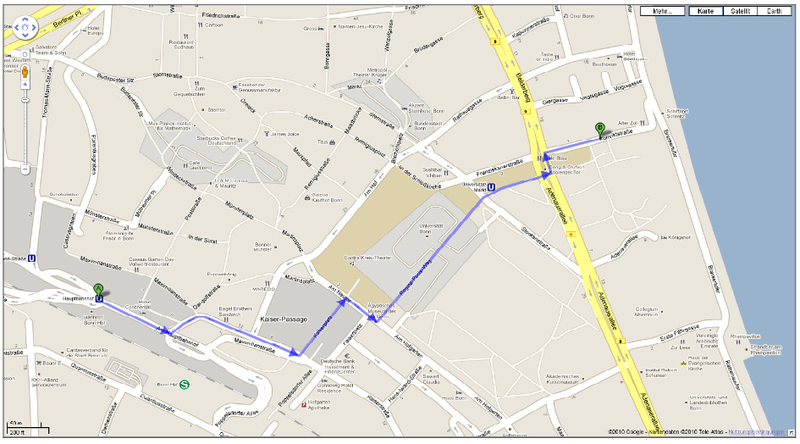 After 50 m you will find the University Club on your left hand side.